The Intense Images Of Afghanistan's Long And 'Distant War' Photojournalist Robert Nickelsberg has been documenting Afghanistan since 1988. 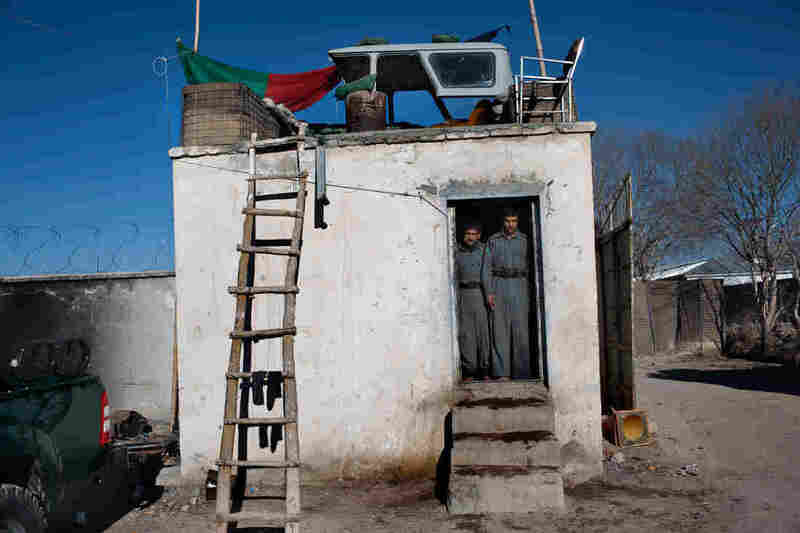 A retrospective in Kabul from his book, A Distant War, takes his photos back to the country where he made them. 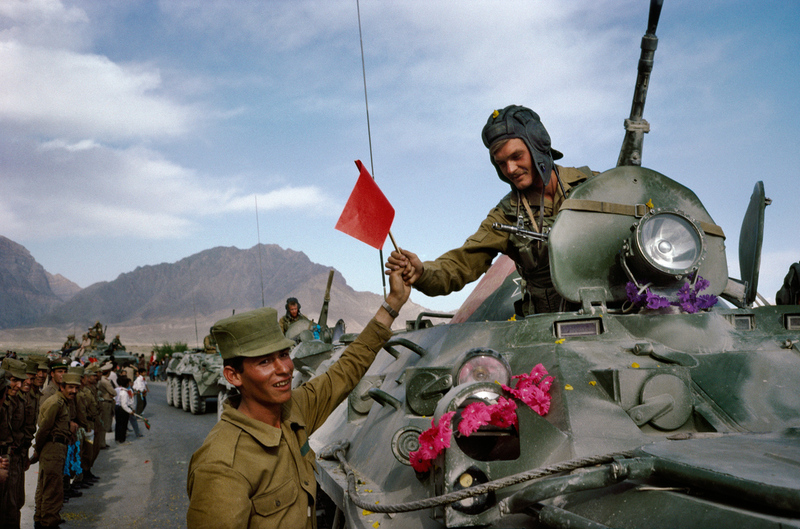 On the first day of the Soviet withdrawal from Afghanistan in May 1988, an Afghan soldier hands a flag to a departing Soviet soldier in Kabul. 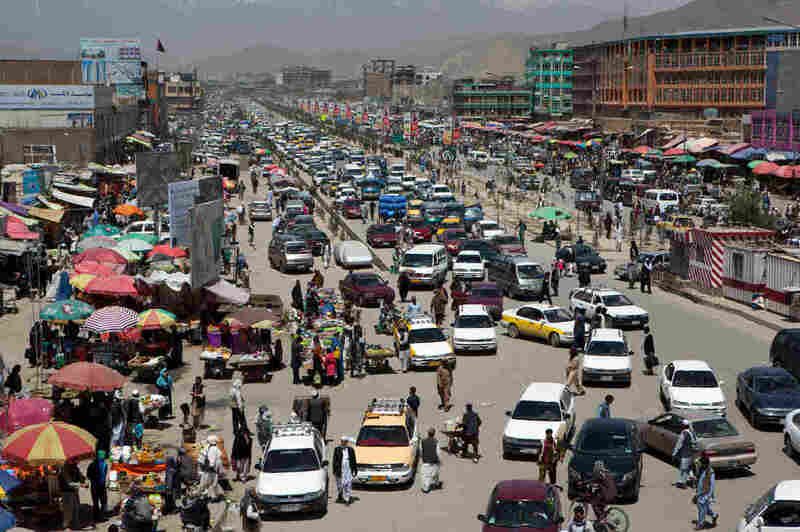 "This was the first time journalists had full access to Kabul," Robert Nickelsberg says. It marked his first year covering Afghanistan. "It was a historical turning point for the Cold War and actually foreshadows the chaos that will descend on the country." U.S. photojournalist Robert Nickelsberg has seen more of Afghanistan, and recent Afghan history, than many Afghans themselves. Since 1988, he's visited Afghanistan dozens of times, covering the country for Time and The New York Times. 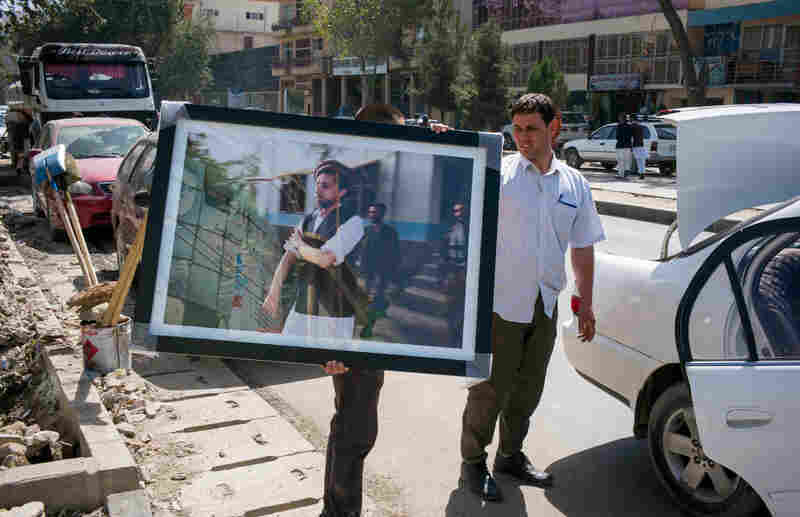 He returned most recently last month, for the launch of an exhibition of his photography at the Afghanistan Center at Kabul University. 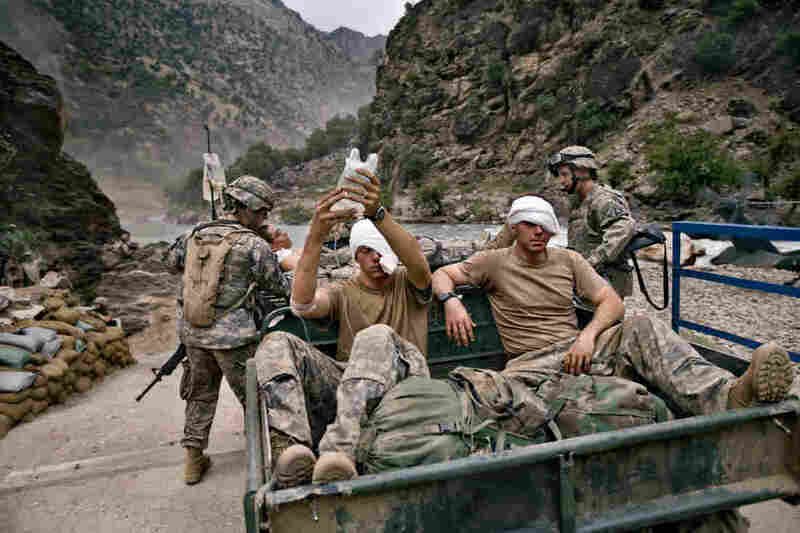 The photos, covering several distinct phases in recent Afghan history, come from Nickelsberg's book Afghanistan: A Distant War, for which he received a 2014 Overseas Press Club award. After so many years of covering the country, he says: "Storytelling and documentation remains a priority. Witnessing historical moments remains a priority. The intimacy I have with the region has not changed, it's just evolved." Originally Nickelsberg had planned only to present a Dari-language version of the book to the university, but the Afghanistan Center's director, Waheed Wafa, a former New York Times reporter, "is aware of the impact of photojournalism," Nickelsberg says, "and felt this was the right time to put this exhibit together." Of more than 100 photos in the book, 52 appear in the exhibit. "It brings something of the past to students, who were maybe traumatized by violence but had no visual record available of this recent history," Nickelsberg says. "My desire was to return these images to them, to show the effect [conflict] has had on Afghans and for them to reflect on the incidents, personalities and intrigues." 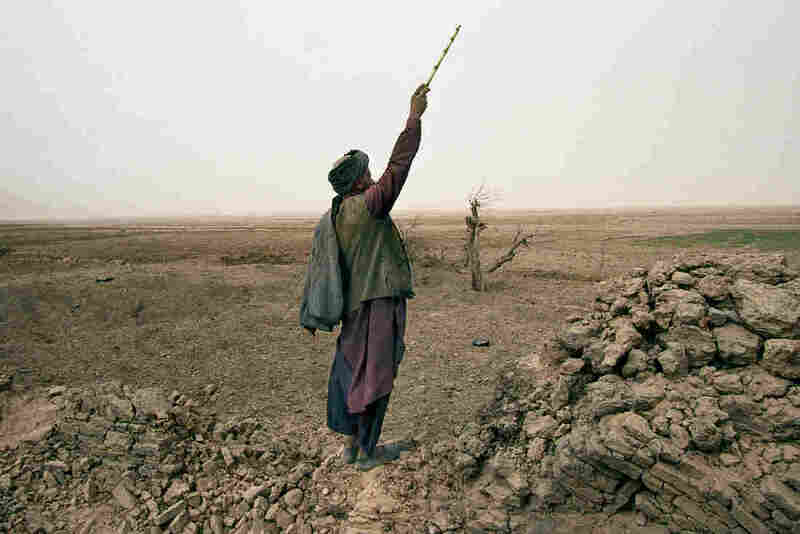 The photos, starting in 1988, span Afghanistan's immediate post-Soviet era, the agonizing civil war of the 1990s, the period of Taliban rule from 1996 to 2001, the U.S. invasion after the attacks of Sept. 11, 2001, and the present day. But in a country where almost two-thirds of the population is under 25, the images convey a history many Afghans today didn't actually live through — either because they weren't yet born or because their families had fled to other countries for safety during the years of conflict. Some of the book's most violent or disturbing images were left out of the Kabul exhibit. "Due to the amount of violence everyone had been exposed to," Nickelsberg says, the Afghanistan Center "asked for a more tempered edit. They weren't really sure how the images might strike or provoke people." At the launch last month, Nickelsberg observed that students were particularly absorbed by photos of the Taliban era — many of which he'd had to shoot surreptitiously, since the Taliban had banned most photography — and by images he'd captured of a past mujahedeen leader, now on the U.S. terrorist list, and daily life in the early 1990s. "They'd stare at them," he says. "You could see them stop and try to take it in." For Afghans "without an illustration of what life was like not that long ago," Nickelsberg hopes his photos will help fill in some important blanks. "To encourage discussion, to provoke a response — that is what I had in mind," he says. Beyond this, it was personally important for him to share his work with people in the country he's devoted so many years to covering. "That is an ideal situation, to give back," he says. "It's not a one-way street for us to come in, rake up these stories. We make it available for the people there." A selection of Nickelsberg's images follows, along with his own commentary. At left: "This was a Japanese pickup truck ferrying fighters to the front line in Jalalabad. Osama bin Laden and his fighters were 2 or 3 miles from here. We knew we didn't want to meet Arabs, it was just best to steer clear of them. The [driver's] furry Russian hat was obviously looted, it was like 90 degrees outside. You can see all the rifles in the picture, and somebody is filming us. It shows the ragtag nature of the groups participating in the first year after the Soviet withdrawal." At right: "This was a very interesting encounter. The suspicion was that Jalaluddin Haqqani was training Kashmiri militants. He readily admitted it. This ties in the whole concept of Afghanistan, Pakistan and India being really attached as the jihad started to seep into other countries. We were also being shelled at the time [of the photo] by the Najibullah government. [Haqqani] offered us hospitality, safe passage, he didn't care about our nationality. He was not at that time anti-American or anti-Western. He showed Pashtun generosity and hospitality. There's a lot that isn't visible. His expression is steadfast, confident. It's a difficult face to take in and try to read. People's appearances don't always lend their true identity." 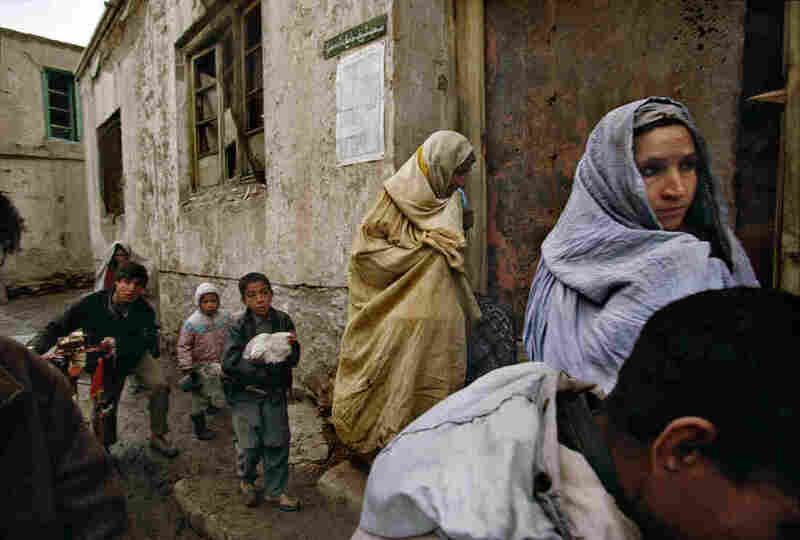 At left: "In between conflict, this was a chance to document daily life, to see what Afghans did. There's no gun in the picture, no violence. There's a harmonium and a tabla player out of the frame, to the right. Women are sitting in another part of the garden. Traditionally, families would go on Friday picnics. There was stunning music. It's a real, genuine appreciation of being an Afghan. The Babur Garden later became a frontline position in the civil war. Today it's still a place where families go. Daily life goes on, even in a time of conflict." At right: "Two Uzbek fighters in southwest Kabul are fending off incoming [Afghan mujahideen leader Gulbuddin] Hekmatyar soldiers. This was the takeover of Kabul. You can see grease and oil from the tanks on the intersection. You can see that one of the fighters has no shoes. These fellows were very exposed. I figured these fellows would go down before me. They were still standing when I left." "This is what a family takes when they have to flee: a bicycle, a teacup, a chicken, a bag of food. The civil war was peaking in Kabul. You see no men of fighting age in the picture. There's the mother in front and her mother-in-law in the gold burqa behind her. It's muddy in March. This is in the morning. Their clothes are pretty clean, they've just left home. Mortars and artillery fire were all pretty close. The pattern was there was violence in the morning, a break around midday, the fighters would rearrange the game board and then the nasty things happened at night. People had to get where they had to be by nightfall. They wouldn't leave unless it was bad. It's a risk to leave." Above: "This is the Taliban chasing [opposition leader] Ahmad Shah Massoud from the Shomali plain. They're firing Chinese 107-mm rockets after the retreating Massoud forces. They're not self-conscious at all. There are not many opportunities [for a photographer] to get this close, not much chance of injury or incoming. This was a mopping-up operation. "A mullah showed up here — he wanted to kill us. He showed up and picked up a rock the size of a watermelon and threw it at my head. It landed on the back of our vehicle and bounced off the back windscreen. Then he stormed off. He was a very creepy fellow. I don't know what he thought about picture-taking." At right: "The mullah standing on the van, he's the same one who tried to kill us earlier. He's describing the new rules of Kabul after the Taliban takeover. 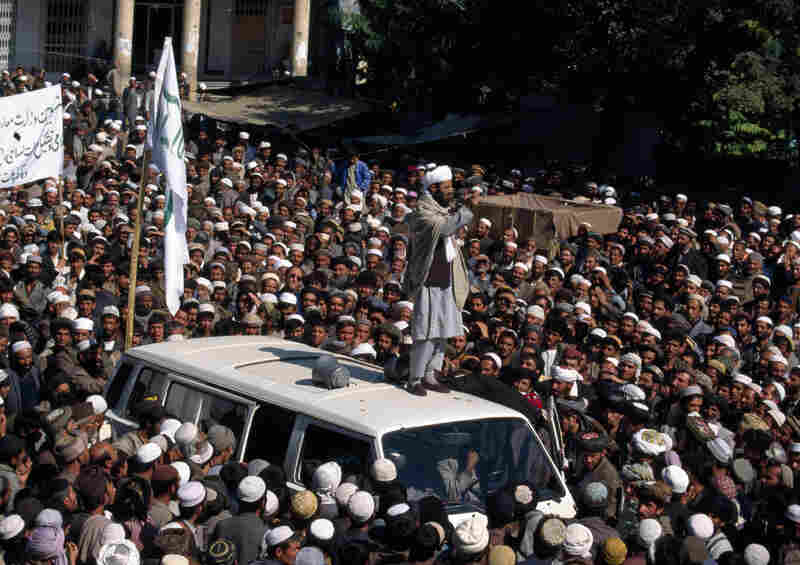 This is how the news got transmitted, on a loudspeaker by a mullah standing on a van. You can see his shined shoes. And there's a foreigner with sunglasses to the rear left of the van. Some men already had started growing beards. People were very curious. There had been a lot of anxiety and suspense prior to this. You can see the Taliban solidarity banners and all faces are turned toward the van. They really wanted to know what was in it for them, and they had no idea it would be so severe." "The Taliban had been kicked out of Kabul and forced back to Kandahar. I got one of the last visas from them and went in to see the damage from NATO jets at a village. The Taliban had committed so many atrocities against civilians; now this was their version of a dog-and-pony show. When we arrived, there were 17 new graves. A shepherd was calling his sons to bring in the goats and sheep. You can see the tree destroyed in the bombing, the broken wall he's standing on. There's a timelessness to it: There is still resilience and the day-to-day lifestyle continues. He's calling in the sheep as if nothing had happened. Life goes on. Animals have to be herded." "I embedded with them. You had to be able to keep up physically. The photo gives you an idea of the challenge of the terrain. They were with the 10th Mountain Division, they were wounded. They were ambushed going up a trail. Two or three years later, their camp was overrun and the U.S. had to give it up. [Their base] was very, very vulnerable. They'd been in Iraq; they were tough, but also weary." 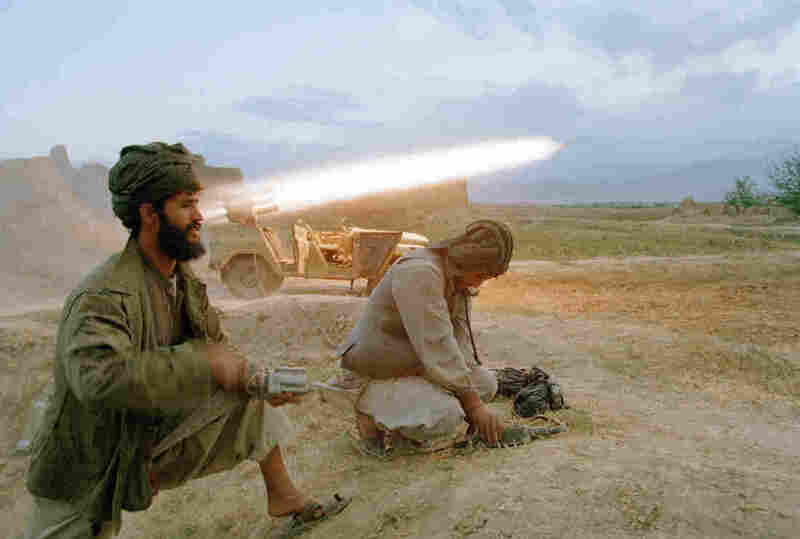 "Ghazni was 60 percent controlled by the Taliban. This was not. You see a brand-new Ford pickup truck, an Afghan flag, a U.S. sandbag, the top of a Chinese or Russian jeep on the roof, a broken chair, traffic cones, dirty socks on a rickety ladder and two very hospitable Afghans inviting me in for breakfast. But there's no fuel, so they can't run the Ford. This is what it's like to be in a rural area susceptible to Taliban takeover. This is the country the U.S. turned back to the Afghans, totally unprepared to run their own place. There's a poor supply chain, poor training. There's insecurity outside the gates, Taliban on motorcycles. This is what we're leaving behind." At left: "The MRAPs [mine-resistant ambush protected vehicles] had to be flown out. It was very costly. This was at a warehouse at Bagram. The soldier on top of the vehicle is searching for loose bullets. Her job is to look everywhere. These are $750,000 armored vehicles, weighing 10 to 15 tons each. The U.S. would not permit 'turnover' pictures. This was one of the only ways of showing the withdrawal. But the word 'withdrawal' was not recommended. The word for it was 'retrograde.'" At right: "Two columns are leaving; you see no weapons, their weapons are gone. Soldiers are coming in. It's part of a cycle. Bagram used to be no-man's land in the civil war. "I had to wait for this photo. I wanted to bookend this picture with the Soviets leaving at the beginning [of his book], and the Americans leaving at the end. But you're going to need more troops going in now than leaving. No one really has a crystal ball for this place." "There's been a rise in the number of girls going to school. Here, police were stopping traffic to let them cross. Some are hiding their faces. Pre-9/11, this [girls' education] was all done surreptitiously. Women want to work now and be empowered." "This shows a marketplace. I was standing on a bridge, a flyover. Kabul never used to have flyovers. Below, you have horns, chaos, music, radio — and traffic police not doing anything. All the shops are open, everyone is in a car. There's a man with a wheelbarrow, dust, noise, cellphones. It's a good indication of what the potential is for commerce. This is what Afghans would really like. But if there's no security, the country can't grow and prosper. Without the violence, this would be a normal scene throughout the country."